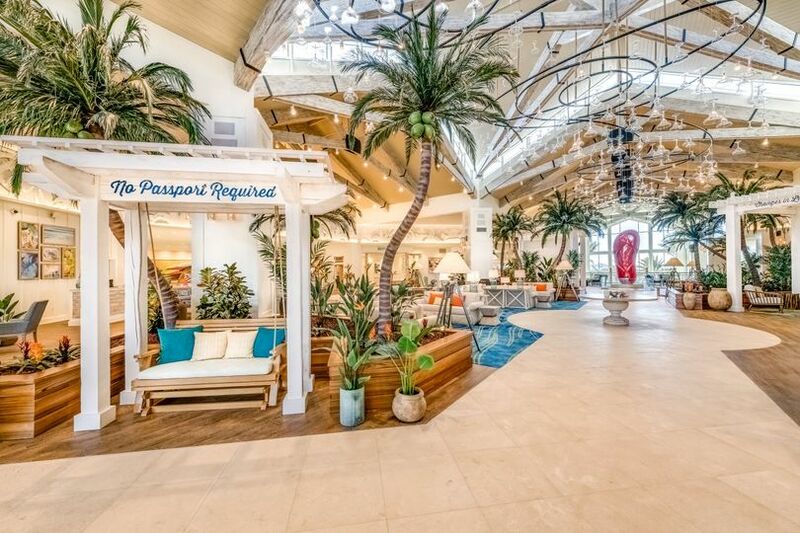 Margaritaville Resort Orlando is a hotel wedding venue located in Kissimmee, Florida. 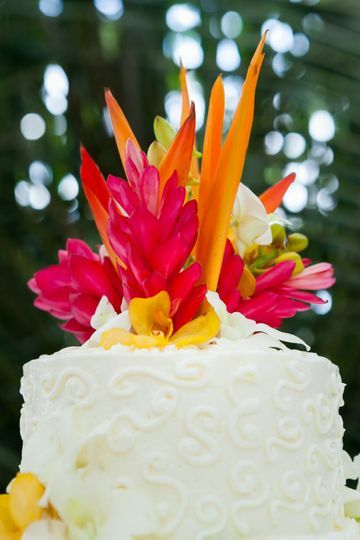 In this tropical paradise, couples are able to host all stages of their wedding including their engagement party, bridal shower, rehearsal dinner, ceremony, and reception. Elopements are also welcomed. During your stay, you and your guests will find plenty of fun activities to pursue throughout the local area. For visitors who just want to relax, there are plenty of beaches to escape to and take in the scenic views. 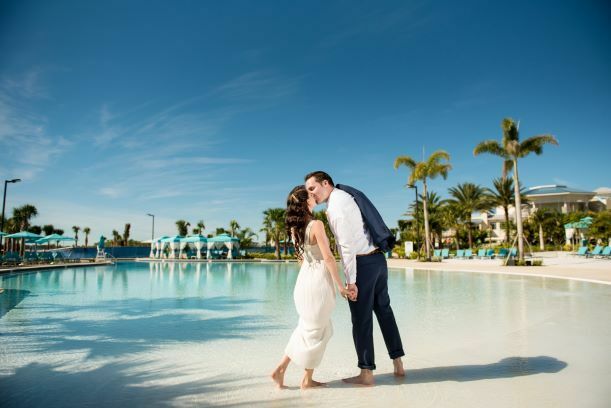 Your entire wedding experience will truly be memorable in this private oasis. 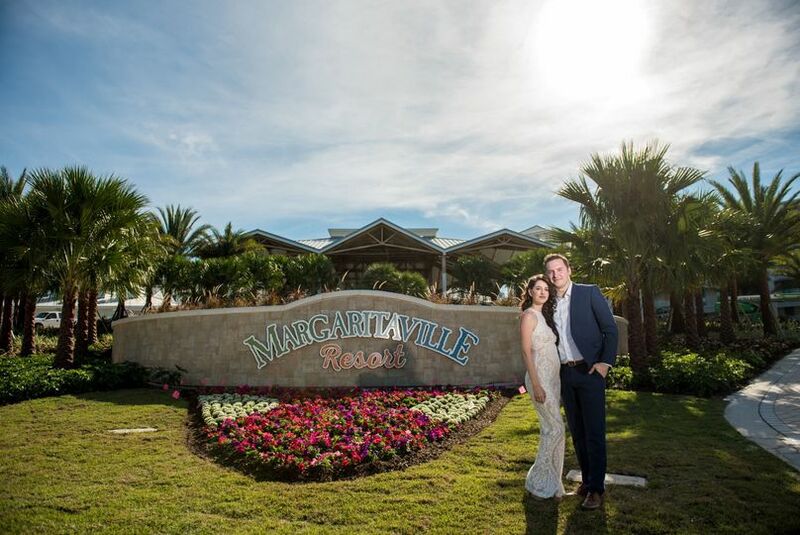 At the Margaritaville Resort Orlando, couples will have over 40,000 square feet of space to choose from to host their wedding events. There is a total of 15 event space options, which are all quite flexible. These sites can be found not only indoors, but also outdoors with covered and uncovered options. The lobby is quite impressive with its floor-to-ceiling views overlooking the lagoon pool. There is a ballroom option as well where you can gather with your loved ones. 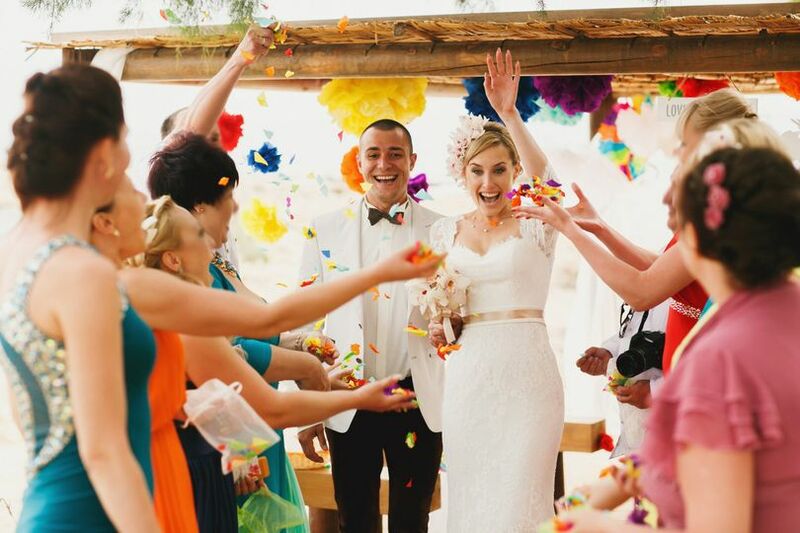 Because the venue is so large, there is more than enough space for you to host your wedding with up to 1,000 guests. 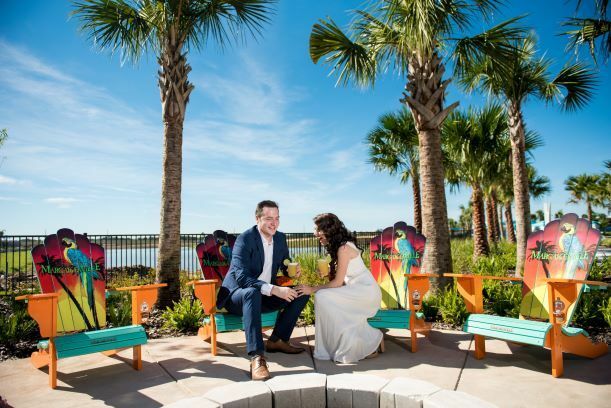 To help make sure your planning runs smoothly and is as stress-free as possible, Margaritaville Resort Orlando offers planing services. The team is more than happy to handle all your set up and clean up needs so you can focus on celebrating and creating memories. Outside vendors are permitted. In addition to planning, the team offers bar services and catering services. They can also handle other aspects, like valet services, as well. Following the wedding, couples and guests are more than welcome to continue their stay in either a hotel room or in one of the cottages. 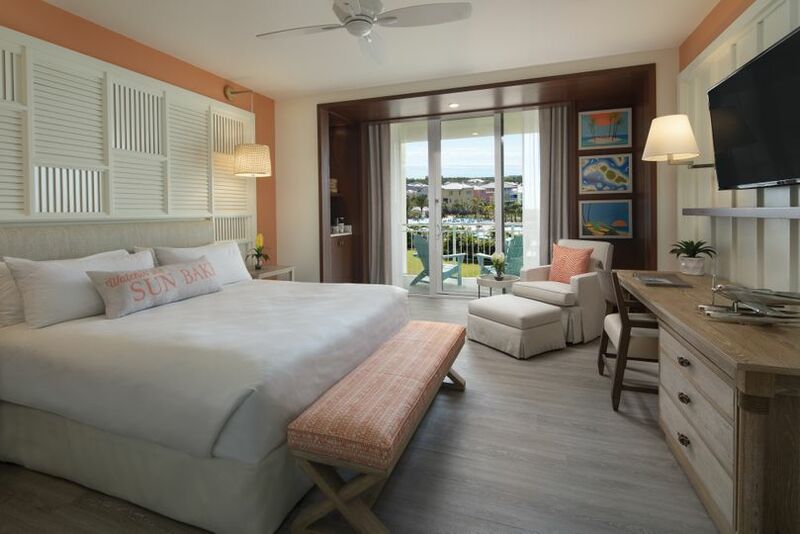 There are 184 hotel rooms and they all have balconies and deluxe linens to enhance your stay. The cottages, which are best suited for groups, all have in-suite baths, a full kitchen, and a dining and seating area. Regardless of which option you choose, you will be able to enjoy a wide variety of amenities such as a spa, fitness center, pools, four dining options, and more. 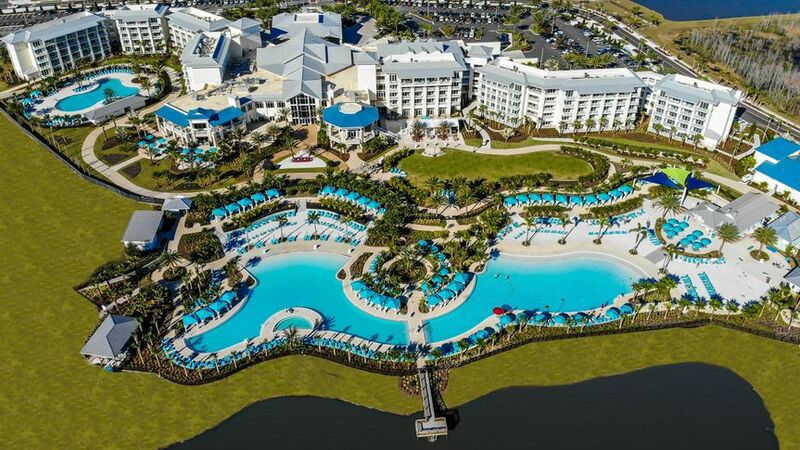 For couples or guests who may be coming from out of town, Margaritaville Resort Orlando is conveniently situated just 25 miles away from the Orlando International Airport. 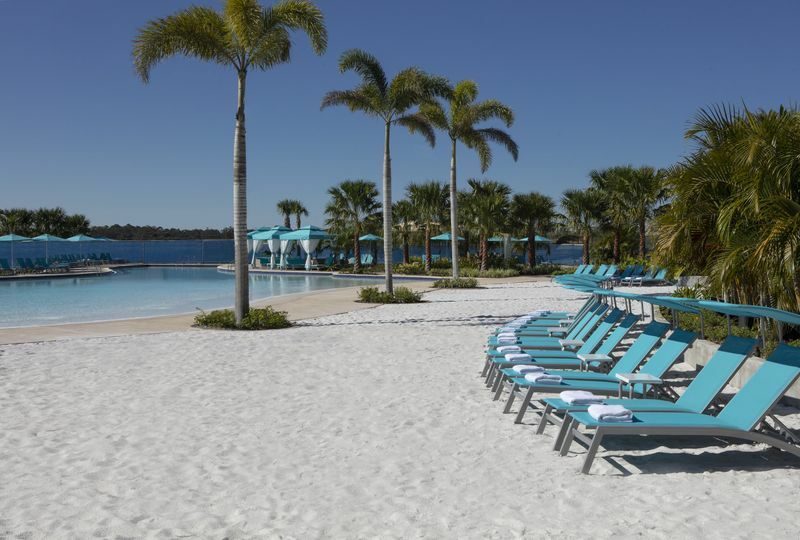 Because the venue is situated right in the center of Orlando, you will naturally find many nearby amusement parks and water parks. There are also plenty of entertainment, dining, and shopping options.